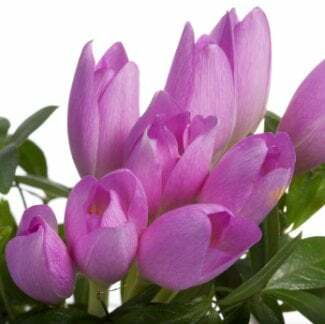 Colchicum is one of falls more brighter flowers. 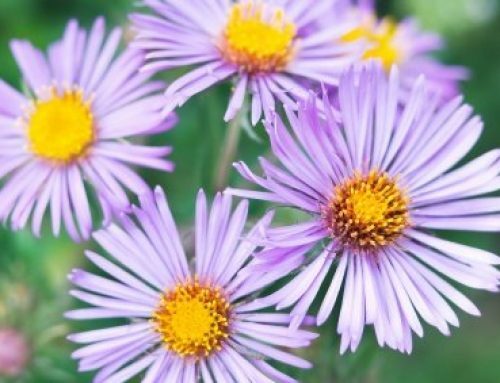 They bloom in colors like pink, purple, lilac and of course white. They bloom around the time when the Autumn Crocuses are blooming. It is fitting since they resemble each other. They shoot out of the ground just as the crocus does and opens its petal wide and bell shaped like a crocus. They are a small fall flower growing only about 6 inches tall. If you want to plant this flower in your garden, you will need to start by planting the corms in the late summer months. That way when fall begins, the plants will shoot up from the earth. This is an interesting plant because when it first blooms, there is no foliage to accompany the plant. The foliage from this plant does not actually grow until the following spring. Unlike a crocus, the foliage on this plant is not pretty and grass like. It is very rough to the touch. When you are ready to plant the bulbs, set them in an area with well-drained soil. The tops of the bulbs will need to be upright and planted about 3 inches below the top of the soil. Spread each corm at least 4 inches apart so that they will have space to grow. Then just sit back relax and wait for you beautiful Colchicum flowers to appear.